Share Our Strength is a registered 501(c)(3) private, nonprofit organization. A small gift each month may not seem like a big deal, but it means so much to a child that isn't getting enough to eat. 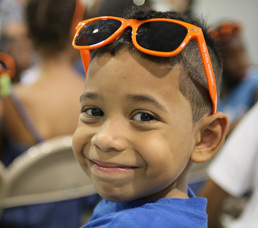 Your $50 tax-deductible monthly gift can provide hungry kids with 500 meals every month. If you prefer to make a single gift instead, click here.